Almost a month after Hurricane Maria, some US residents haven’t been able to communicate with their family or friends in Puerto Rico. There are currently more than five million Puerto Ricans living in the continental U.S.—more than on the island, and their concern is significant. WAPA America, the U.S. cable network arm of Puerto Rico’s leading broadcast network, is partnering with its MVPD to allow all of their subscribers to have access to the channel free of charge, and making WAPA America’s comprehensive live broadcast coverage of Hurricane Maria’s aftermath. 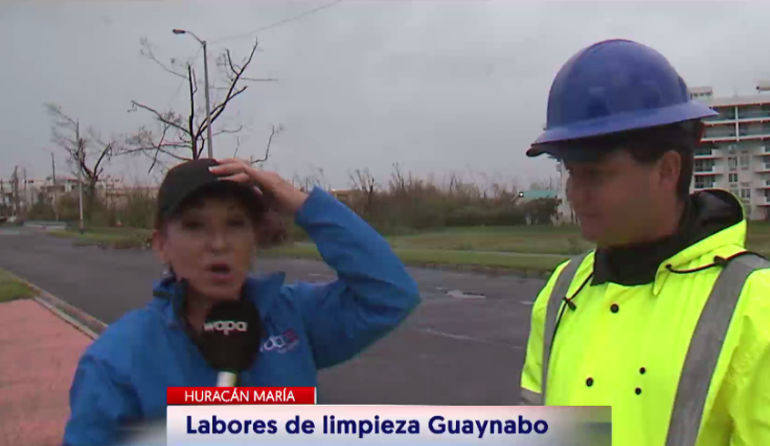 The network, which is available on the Hispanic program packages of every major cable, satellite and Telco provider in the U.S., has also made the network available for free live streaming to the entire country here, where the station continues to provide unprecedented in-studio and on-location coverage of the storm and its aftermath. Considered the most-trusted news source in Puerto Rico, the network has the most advanced news technology on the island and an outstanding news team that produces award-winning news reports from Puerto Rico, the Caribbean, and the U.S. The death toll in Puerto Rico from Hurricane Maria has increased to 45. Pedro Cerame, the governor's director of communications in Washington, said that Maria was the worst hurricane to hit the unincorporated U.S. territory.